As MY-BASIC getting close to its first stable release, I've put my efforts on a MY-BASIC powered project for months. Which is called BASIC8. I'm using MY-BASIC as the language kernel for this software, with some extra extended syntax, such as bitwise operators, coroutine, linear algebra... and more libraries for game and other program development. 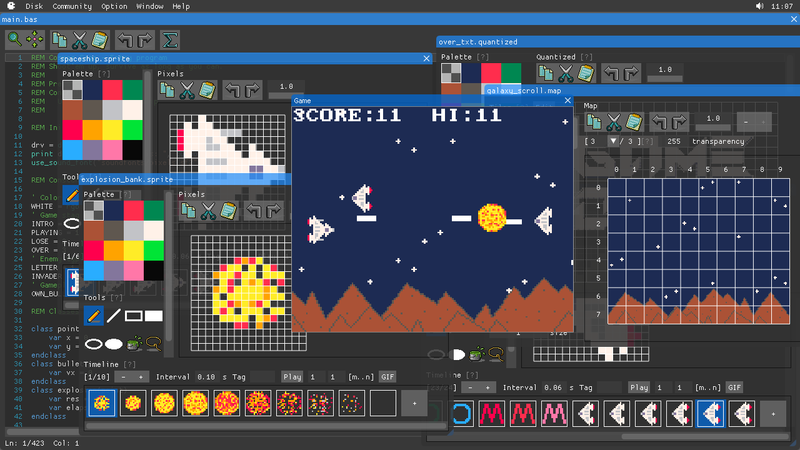 The idea is similar to PICO-8, but BASIC8 is designed mostly from my own purpose and design. And it's BASIC, instead of Lua. This is something I'd been looking for to make quick prototype, and weekend projects. Don't know how many people would be interest in it, but anyway hope it could make the experience enjoyable. I'll probably take a look when I have time. There is no restrictions on this forum to only free or open source software. Looks great and only $15.